Mekdelawit Bayu, MDP alum, has published an Op-Ed in the Stanford Social Innovation Review: Supporting a Truly Participant-Centered Approach to Development. Ms. Bayu is the Assistant Program Manager for the Mandela Washington Fellowship for Young African Leaders (http://globalnotes.hhh.umn.edu/2016/06/25-young-african-leaders-arrive-at.html), which is based in the Center for Integrative Leadership at the Humphrey School of Public Affairs, University of Minnesota. Resistance to unconditional cash transfers may be less about their effectiveness and applicability as a participant-focused programmatic strategy, and more about the development community’s vested interest in maintaining the status quo. Consider: Resource scarcity and the unjust distribution of available resources underlie many complex development program interventions—including the provision of vaccines, clean water, and schooling—and our modern society is organized such that we acquire resources using currency. Thus, giving people who are experiencing resource scarcity access to currency is one of the most straightforward development solutions; they can use the currency to fulfill their needs—to pay for vaccines, clean water, or schooling directly. This approach to development simplifies the long resource-allocation chain of command, from donor countries and philanthropies to program participants, and cuts out a substantial amount of the middlemen—international and local NGOs, and development practitioners. Research evidence and impact evaluations show impressive outcomes of unconditional cash transfer (UCT) programs for wellbeing indicators such as health, education, increased income. Examples include increased investment in vocational training and earnings in Uganda, reduced HIV and HSV-2 infection prevalence among adolescent girls in Malawi, success for microenterprises in Sri Lanka, and increased status of women within their homes in Kenya. In Western Kenya, low-income households that received unconditional cash transfers increased their assets—livestock and home improvement—by 58 percent compared to the control group. The same study also found that cash transfers reduced domestic violence, and increased women’s empowerment in recipient households and their community. Moreover, according to these evaluations, the stereotype of people using cash for temptation goods, such as alcohol or cigarettes, has proven untrue. Yet estimates from the Humanitarian High-Level Panel on Humanitarian Cash Transfers (comprised of academic, NGO, philanthropy, and government sector representatives) show that cash vouchers currently account for only about 6 percent of the aid humanitarian organizations distribute. Why aren’t we doing more development work using UCTs? Critiques of UCTs include skepticism about the accuracy of impact and cost-effectiveness reported by implementing agencies, applicability in certain cultural contexts, the details of effective implementation, and misconceptions following misrepresentation of UCTs as the panacea for the poor. But I believe there are other, more-systemic reasons why the field isn’t embracing this approach: The current international development system not only fails to prioritize the needs of program participants, but also has a vested interest in maintaining the status quo. It is widely acknowledged that the international development system faces many complexities: government interests and regulations; allocation of funds earmarked for specific issues or target populations; layered accountability measures to prevent misappropriating funds; and, in some instances, donor’s use of aid money as a platform to advance political, moral, religious, or economic interests. As a result, the interests of program participants are rarely the primary concern. In her paper, “INGO Accountability Deficits,” Angela M. Crack (2013) advocates using the phrase “primary stakeholders” instead of “beneficiaries,” citing the importance of language. This linguistic shift emphasizes that the raison d’etre of development work is to address the challenges of disadvantaged people and thereby makes program participants the most important primary stakeholders in our field. All of these existing critiques notwithstanding, development sector professionals and policymakers haven’t honestly discussed how UCTs could completely change the direction of the international development field. By placing decision-making power directly in the hands of program participants, UCTs give program participants the agency to become active participants in shaping a better future for themselves and their communities. For development practitioners, it means focusing on downward accountability, and trusting the capabilities and knowledge of program participants enough to work with and for them, as opposed to shaping programs to force-fit donor-mandated indicators and spending hours writing glossy evaluation reports. Currently, the field’s direction is marked by: increased professionalization through global higher-education programs, such as the University of Minnesota’s Master of Development Practice; the high qualification standards, both in work and education experience, required to work in the sector; and increased and stringent reporting and evaluation requirements. All of this translates to many people, organizations, and governments having vested interests in maintaining the status quo. These powerful stakeholders within the international aid world include technical assistance and country experts (expatriates); US-based farmers and other contractors who supply products for overseas use; private-sector, for-profit agencies that implement aid-funded projects; donor-country politicians who use aid contracts as a negotiation tool; and developing-country government officials who financially benefit from the complexities of the long chain of command and the inability to track leaked funds all the way down to the county level. Changing the status quo effectively compromises all these parties’ interests. UCTs offer an opportunity for the international development field to truly align mission with practice, implement human-centered development programs, and reclaim the long-lost vision of “working themselves out of a job.” It’s worth asking whether some of the resistance to the broader adoption of UCTs comes from questioning their effectiveness and applicability as a programmatic strategy—or whether it’s driven by self-interest. 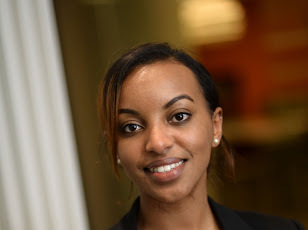 Mekdelawit Astatke Bayu (@Mekdelawit_B) is a recent graduate from Humphrey School of Public Affairs’ Master in International Development program. She is currently working as a program manager for the Mandela Washington Fellowship for Young African Leaders, the flagship program of President Obama’s Young African Leaders Initiative (YALI).